· Join in the fun. Parents can make art more fun for kids by playing music around the house and singing and dancing alongside their youngsters. In addition, read a book to or with your children and join in when they pursue other artistic endeavors, such as drawing or painting. · Find local events. Many school districts have slashed their arts budgets in recent years, but parents can still find local arts events for kids in their communities. Peruse the local newspaper and other community-based periodicals for cultural events for kids. Support local theater groups by attending performances with your children and explaining to them that the performers live in the community just like they do. · Pitch in with local arts organizations. Local arts organizations typically rely on donations and volunteers to support their programs. Parents who want to instill a love of the arts in their children can help local organizations’ fundraising efforts and even volunteer their time if the opportunity presents itself. If possible, take kids along when volunteering so they can get some firsthand experience with the arts. · Encourage kids’ artistic pursuits. 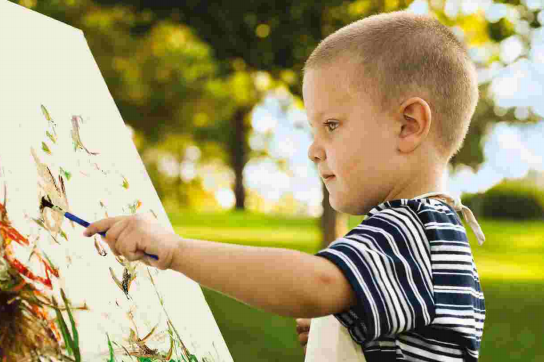 Some kids may decide to pursue artistic endeavors on their own, and parents can encourage such pursuits. Celebrate kids’ participation in arts-based activities in school and in the community, recognizing their hard work in the same way you would acknowledge their successes in the classroom and in sports.